University Students from Bosnia and Herzegovina, Moldova, Montenegro, Serbia and Slovakia believe in value of European cooperation, of democracy and in their own participation in public life of their respective countries, surveys carried out by MESA10 from Slovakia and CEAS from Serbia say. They also declared that security provided and prosperity protected by NATO is useful, and that populism and extremism are threats to democracy. 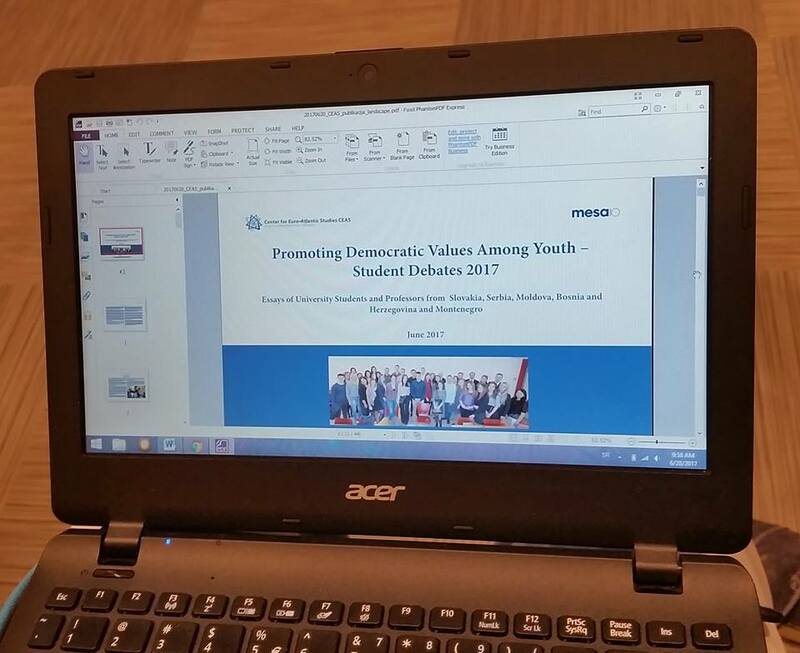 The surveys were undertaken at seven universities located in five countries (Bosnia and Herzegovina, Moldova, Montenegro, Serbia and Slovakia), as part of a University Students Debates’ project aimed at promoting universal values and principles through independent and critical thinking. In December 2016 (fall semester), 1753 students were polled, and in April 2017 (spring semester), 1644 students were polled in all five countries. Most of the questions were repeated in both surveys. Slight modifications in April 2017 reflected the recent developments in world politics or addressed new issues. More detailed results can be found in Media info here and in PowerPoint presentation here.